One-half of the Authors of Pain, Akam, is said to be dealing with a leg injury that will keep him on the shelf for a couple of months. The 25-year-old hasn’t wrestled since a house show on January 6th. Meltzer would continue to say he’s still looking for confirmation and details, however. The booking of the WWE’s tag team divisions has been a topic of conversation as of late. The Raw tag team championships changed hands 10 times in 2018 and have been involved in storylines involving people urinating on themselves. 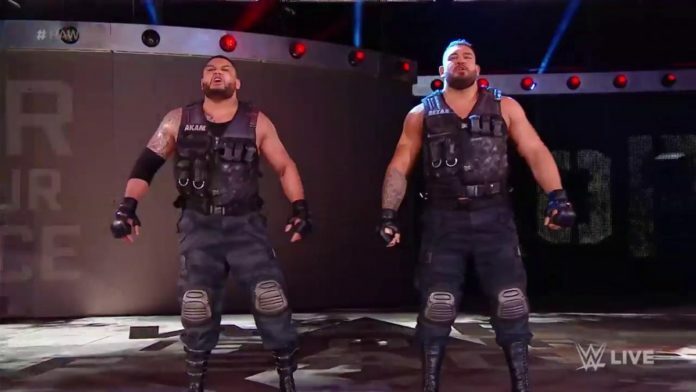 The Authors of Pain won the Raw tag-team championships on the November 5th, 2018 episode of Raw from Manchester. They defeated Seth Rollins in a 2-on-1 handicap match for the belts as Dean Ambrose did not participate. The AOP then defended the titles successfully against the team of Chad Gable and Bobby Roode 3 weeks later. On December 10th, 2018, the AOP lost the belts to Roode and Gable. They lost a 3-on-2 handicap match where their manager, Drake Maverick, was pinned.